June 28 :Pre-Order ALICE COOPER's "For Along Came A Spider". 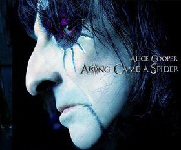 Amazon.com are now taking pre-orders for the new Alice Cooper album 'Along Came A Spider', featuring KISS Eric Singer on drums. Click here to order yours now. Fan-filmed video footage of original KISS guitarist Ace Frehley joining PEARL JAM last night (Wednesday, June 25) during the second of a two-night stand at Madison Square Garden to play lead guitar on KISS' "Black Diamond" can be viewed below. The track was mostly sung by drummer Matt Cameron, with guitarist Mike McCready, an admitted Frehley obsessive, handling the first verse. Read a report from the show at Billboard.com. Bruce Kulick and Eric Singer on upcoming Kishti Tomita album (?). In Sweden there is a lady named Kishti Tomita. She is a famous singing techer/singer. She is also one of the judges in the Swedish version of the television show IDOL. Kishti Tomita is going to release an album of her own later this year. One week ago (or so) there was an article about her on Swedish Channel 5 Text-TV. It said that guest musicians on her forthcoming album would be Bruce Kulick and Bobby Kimball among others. Also the week when Kiss was in Sweden there was an article about her in the biggest newspaper in Sweden called Aftonbladet. The article showed pictures of her meeting with Eric Singer and also told that she and Eric would be writing songs together later this year. Maybe both Bruce and Eric ends up on her album. 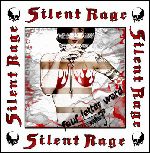 In response Kishti Tomati mailed KRR that she and Tommy Denander wrote a super song together with Bruce Kulick. June 21 : Desmond Child website renewed / ROUGE CD's reissued. In related news, the official website of singer/songwriter/producer Desmond Child is renewed recently. The new site (which still contains some small errors) contains a much better detailed discography (incl. album covers), Biography and History PDF pages, as well as a picture gallery. For nearly three decades, songwriter/producer Desmond Child has reigned as one of music's most successful creative forces. His list of accolades includes Grammy awards, 70 Top 40 singles, and songs that have sold over 300 million albums worldwide. Child's career has been highlighted by a stunning array of diversity. His collaborations run the gamut... from Bon Jovi & Aerosmith to Ricky Martin,.. from KISS to Kelly Clarkson... from Cher to Alice Cooper. Born and raised in Gainesville, FLA, Child attended Miami-Dade College. It was in Miami that he formed the group Desmond Child & Rouge in 1973. Soon after, he moved the group to New York City to pursue their musical dreams. "My band Desmond Child & Rouge recorded two albums for Capitol in 1979 and we had a dance hit, ‘Our Love Is Insane,’” recalls Child. "But ultimately, we were doing something very different and urban. We weren't really understood by our label." Rouge female singers Maria Vidal, Myriam Valle and Diana Grasselli all did background vocals on Paul Stanley's 1978 solo album. The same year Desmond Child, Michael Landau and Paul Stanley wrote "The Fight" which ended up on Desmond Child and Rouge debut album in 1979. Child’s experience as a recording artist would soon play a role in his songwriting future. for Loving You," which is still one of the biggest hits in the KISS catalogue. For KISS "Animalize" album Desmond Child co-wrote "Heaven's On Fire", "I've had Enough (Into The Fire)" and "Under The Gun". During 'KISS 1984 European Animalize Tour', Paul Stanley passed Child's phone number to New Jersey rockers Jon Bon Jovi and Richie Sambora. Jon called Desmond and the three ended up in the basement of Sambora's parents' house, where they penned Bon Jovi's first number-one single, "You Give Love a Bad Name." The collaborations continued and they followed with two more chart-toppers: "Livin' on a Prayer" from the band's breakthrough album Slippery When Wet and "Bad Medicine" from the follow-up, New Jersey. Desmond Child continued working with KISS on the albums "Asylum", "Crazy Nights", "Smashes, Trashes & Hits", "Hot In The Shade"
Both Desmond Child and Rouge albums are recently reissued on CD. 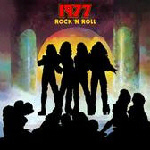 June 21 : 1977 " Rock 'N Roll " now available for Europe. 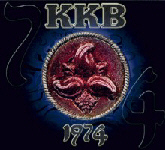 At present time, we are proud to announce that 1977 "Rock 'N Roll" is now available on CD. Below is all the information that you will need to obtain your copy of 1977 Rock ‘N Roll on CD. Please take care to include your shipping address. Europeans can now purchase a Limited Edition copy of the 1977 "Rock ‘N Roll" CD, by sending $22.95 U.S. to the address listed below. 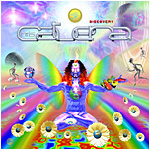 This includes the cost of the CD; $14.95 U.S. plus $8.00 U.S. for shipping and handling. June 18 : BRUCE KULICK Interviewed by MAUL STANLEY! Maul Stanley: Even though you officially joined Kiss during the Animalize Tour, you did in fact play some guitar on the album itself. Were you brought in before or after Mark St. John and at the time did you know you were being considered for the band? Bruce Kulick: No, Mark had already been announced as the guitar player for "Animalize" when I was brought in. I know that he was having some health problems, plus I think Paul didn't like some of the stuff he was playing on one song, maybe a song and a half. That's when they asked me to come in and help out. As everyone knows, Mark then became ill so they asked me to fill in for him on tour. Along the way, they started to think that maybe I was the right man for the job and that's how my time in Kiss got its start! Maul Stanley: Was it weird being on tour with Kiss, knowing that the man you replaced was hanging around backstage? Bruce Kulick: Well, I tried to handle it in a very positive way. Mark was always cool with me and I was always cool with him. I didn't want to make it a competition and I didn't want it to seem like I was his adversary. We actually used to jam backstage. After touring Europe for 6 weeks in the fall, Kiss had returned to tour the US. We started in Pennsylvania and I think Mark was on the road with us for about 3 weeks. He learned the show by watching it every night. When they finally tested him out onstage a couple of times, that's when they realized that it probably wasn't going to work out with him. In the end, I simply had the home court advantage because I'd already been out touring with the band. So at the end of 1984, Gene and Paul asked me to officially join Kiss. 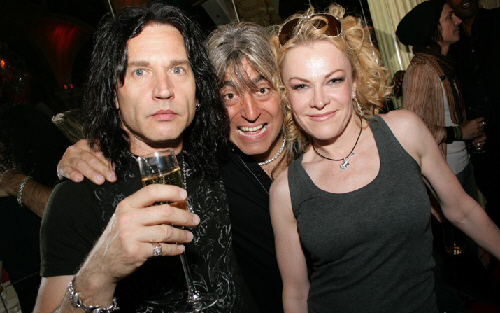 Maul Stanley: Gene Simmons has always maintained that he has never once been drunk or high. If that is true, how did he ever agree to let you sing a lead vocal on "Carnival of Souls?" Bruce Kulick: Well, I didn't really drug him... although it did take a fair amount of prodding! I think by then, Gene and Paul already knew that the reunion would be happening so they just kind of threw me a bone! For whatever reason, I just never wanted to let go of that song, "I Walk Alone." First I sang on the demo, so we'd have a point of reference. We tried the song a couple of different ways and even worked on a version with Bob Ezrin. It was nuts! Our producer on "Carnival of Souls" was Toby Wright, who had previously worked with Korn and Alice in Chains. He was actually the one who thought it would be cool if I sang the song. Even though it might not sound like a typical Kiss track, he liked it when everyone in Kiss would sing a song on the records. So Toby was the one who really pushed for me to record the vocals. And believe me, I was petrified! Obviously, I've learned to sing a lot better since then but thankfully my voice seemed to work for the track. I do love that song, by the way. The lyrics are actually very appropriate. Since the reunion happened shortly thereafter, I truly did walk alone! So I suppose it all made sense in the grand scheme of things. Maul Stanley: Since it was Eric Singer who suggested in 1995 that Peter Criss sit in and jam with the band during the official Kiss Konvention tour, it safe to assume that you blame Eric for getting you both fired from Kiss? Bruce Kulick: Well, I know that Eric's suggestion was innocent enough. If it hadn't been him, it would have been somebody else. In fact, it was MTV who really pushed for the reunion to happen. At the time, they were still on top of the world and exposure on the network still meant a lot. The official Kiss Konventions were a very unique thing. Imagine going to a Kiss expo and having the real Kiss there, answering questions and playing live and the whole 9 yards. I don't know if you saw the one at Roseland in New York City, but it was absolutely incredible. It didn't even matter that tickets were $100 each, which at the time seemed exorbitant! The Kiss Konventions were something special and Gene and Paul really wanted MTV to cover them. We had been getting such a great response to performing acoustically that they wanted to do an episode of "Unplugged." MTV liked the idea, but they also wanted to do it as a reunion. So even though you could say it was Eric's fault that things happened the way they did, it was really more of a business decision on the part of the band. Read the entire interview with Bruce Kulick at www.MaulStanley.com. 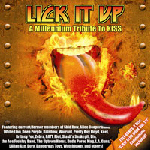 Four additional musicians have been confirmed for the upcoming tribute album "KISS MY ANKH: A Tribute To Vinnie Vincent." 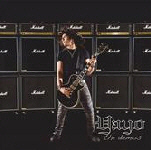 Former Adler's Appetite vocalist Sheldon Tarsha, former Alice Cooper guitarist Ryan Roxie, former Altaria bassist Marko Pukkila and current White Lion drummer Troy Patrick Farrell have collaborated on a new recording of the Vinnie Vincent Invasion power ballad "That Time of Year." The original song was the lead single and MTV music video from the second Invasion album "All Systems Go," which featured the recording debut of vocalist Mark Slaughter. 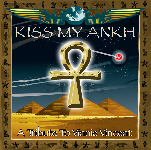 A 45-second sample of the new version is now available at the official "KISS MY ANKH" MySpace page. Tarsha, Roxie, Pukkila and Farrell join the previously announced Steve Brown (Trixter, Stereo Fallout), whose acoustic rendition of the Paul Stanley/Vinnie Vincent composition "A Million To One" recently premiered on Eddie Trunk's nationally syndicated Friday Night Rocks radio program. *This offer is only good in the United States. Any persons outside of the United States should message us to obtain the proper dollar amount of the shipping and handling charges. All funds are quoted in US currency. Thank you. 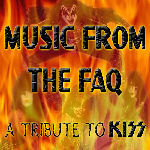 French KISS Army site Diamant Noir reports that KISS bassist/vocalist Gene Simmons has reportedly told Classic Rock magazine that the English newspaper The Mail On Sunday will give away a KISS "greatest-hits" CD featuring re-recorded versions of some of the band's best-known classics. The newspaper's special edition featuring the disc will apparently coincide with the group's appearance at the Download festival, which is scheduled to take place the weekend of June 13-15 at Donington Park, Leicestershire, UK. Further details are not currently available.